I received word from Bigjims that Ibsen passed away from a heart attack on Dec19, 2007. I have not checked in the board much since selling my 650 in the summer, but need to post this. He will be greatly missed. I learned a lot from Ibsen, and my bike would not have run as well as it did without his input. Was there ever a regularly ridden cb650 kept as clean as his? So sorry to hear that. I will miss his great photos as well as his advice. I'm shocked to hear that. He contributed a lot of precise information and always found the right words to transmit it. 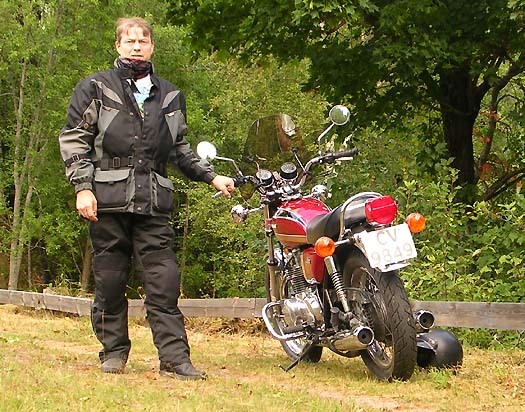 His pictured stories always let show the enjoyment he found in riding and taking care for his bikes. Life certainly is not fair. I really felt sad when i read this..
May his new trip be free from breakdowns. Sad news indeed. I don't know what else to say.